Forever Decorating! 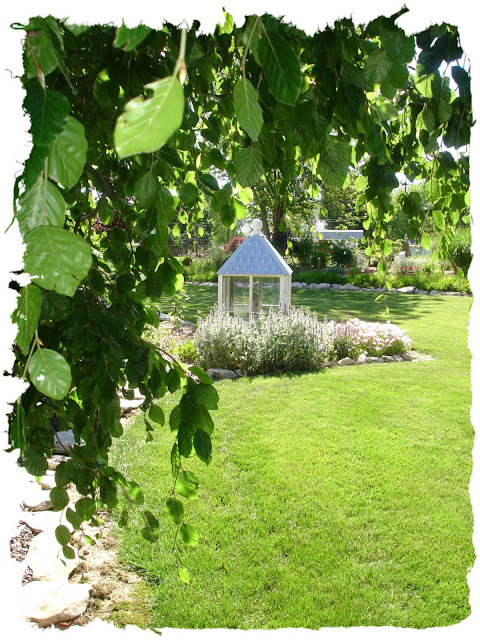 : The making of my Garden Cupola! 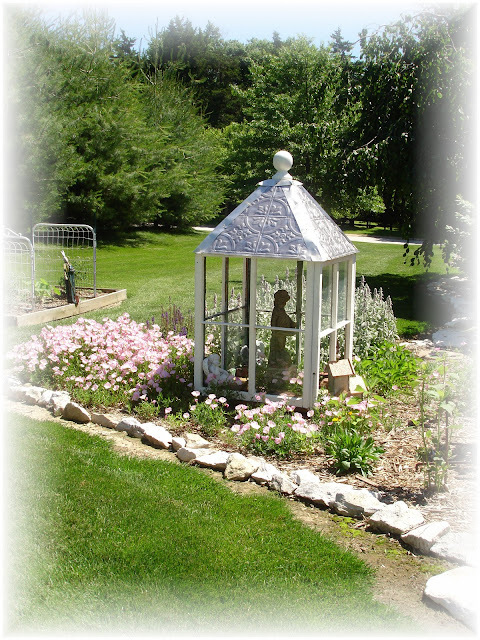 The making of my Garden Cupola! My mind is always creating something. I think it's conditioning from growing up with our family money tight in the Air Force. If we wanted something, Mom would say, "If you want it bad enough then find a way to make it". Easier said than done, but we made almost everything it seemed. Fast forward to adulthood. I have always admired the cupolas on top of barns. They just seem interesting to me and I wanted one in my garden. So this would mull around in my brain until one day a house builder friend stopped by, quite unexpected and gave me two old windows. They were rather large and I asked him if he happened to have two more. He said yes and that he knew I would make something out of them instead of just throwing them in the dumpster. Here is what I started with. I also went to a garage sale and found a HUGE finial for only a dollar! If you can find these this big at the hardware store, they run about $15! So I called my young and cute handy, dandy handyman since the Hubby was busy and asked him to put together my vision. I also purchased four sheets of the plastic look-a-like tin ceiling tiles and metal flashing at the hardware store for the top. The young and cute, handy dandy handyman and I made this cupola and set it in my garden. Some of the windows were busted out, but this works well for air to pass through and the wind to not be able to knock it over. This turned out very large and is taller than I am. But with the sky as my ceiling, I need larger items outside. I placed a Bashful Betsy statute in the inside center and have a landscaping light shining on her at night. This looks very impressive in my back yard. This is a dream that came to reality! NOTE: You should be able to click on most of the pictures to enlarge to see further details. That is so pretty...but of course, you always get a chuckle out of me over the cute and young handy dandy handyman. I still haven't found one of those. Insert sigh here!! You're amazing! It turned out wonderfully. Love it! It's amazingly beautiful - I'm in awe! This is gorgeousness! I want one too! This is great! If it had all the glass it would be a perfect mini greenhouse to start plants. Oh Terry this is gorgeous!!!! I so want one of these!! 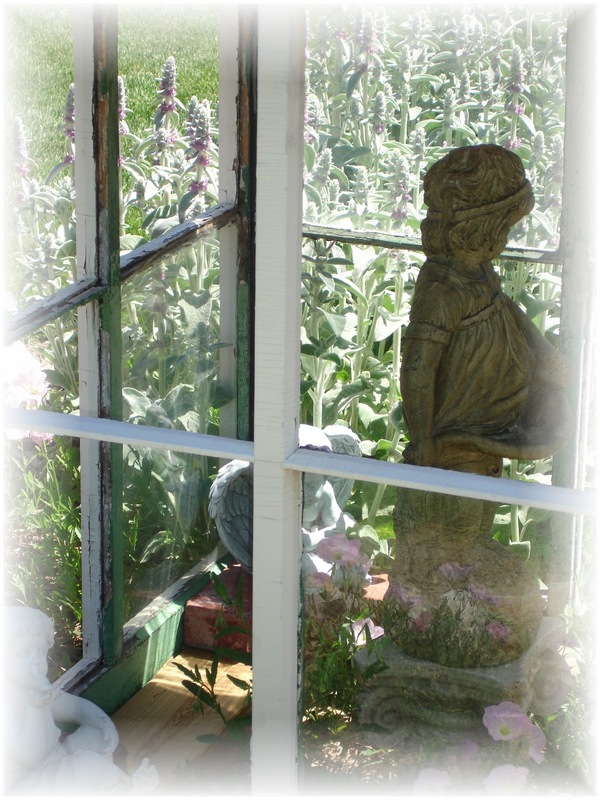 Would love to share your cupola with a link back to your blog on my Discovering Beauty post if I could. This is so cute. I would love to have one of these beauties to admire. It is adorable. You did an amazing job! You did an A+++ job. 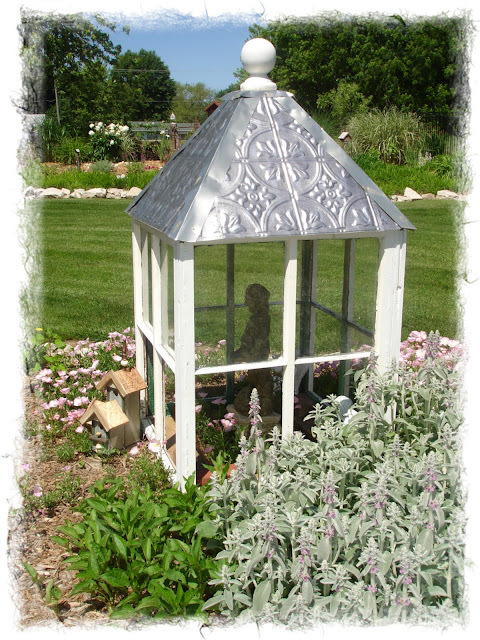 I'd love to have one of those in my garden, especially seeing how wonderful you decorated your cupola. I have seen a few of these over the past few years, what a great way to make use of old windows. I especially love what you did with the faux ceiling tile material. Very shabby chic. You did a great job and what a beautiful garden you have. It is beautiful! I am going to be a copy cat! Holey smoke Terry, that is gorgeous! Oh how CLEVER! And it really looks wonderful! Well done! And such a frugal way to have that dream come true! Congrats! This is adorable Terry. I'll bet you had a lot of fun ;) making it too! Plenty of eye candy, eh? OMG, you are amazing! 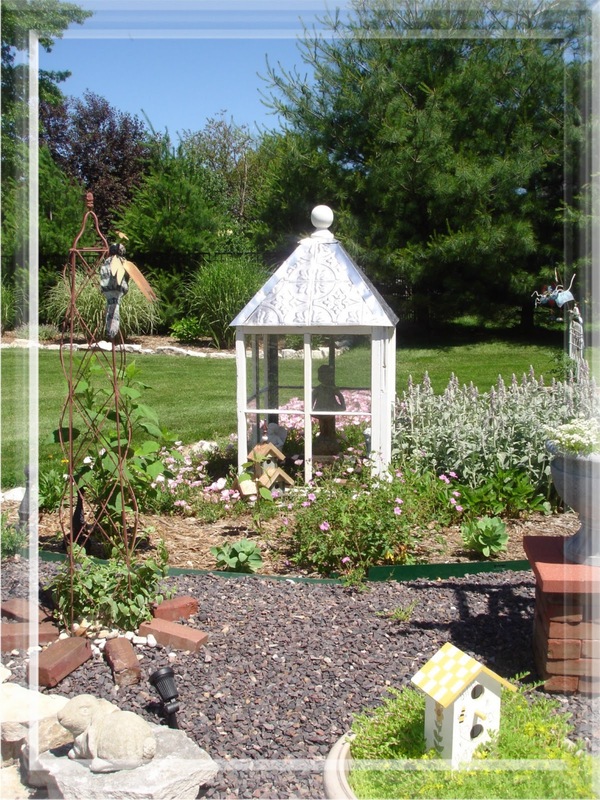 This garden piece is so darned adorable! Just beautiful, wish I had one, but first, wish I had a garden to put it in. Darn it for apartment living LOL! I love how that garden cupola came out. I made one out of old windows myself and have it posted on my sidebar. I love how you used the tin style things for the ceiling. Did you have to attach them to wood first. how hard was it to make the roof part?? I would love to know how they are all attached. Also I am going to scan your blog looking for your kitchen to see if I see any tole trays!! what inspiration!!! I need one now!!! This is stinkin' awesome! Really gorgeous :) Thanks for linking up with us at the CBPH. 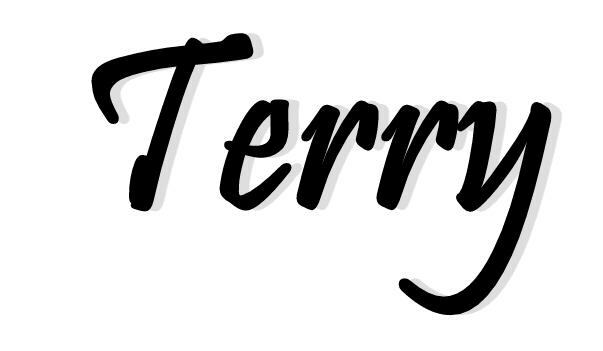 Oh, Terry, how I adore ADORE A.D.O.R.E. this!!! Beautiful and I can just imagine it lit up at night ~ try to take a nighttime pic for us sometime! Wow Terry. That is a cool project and so well done. Glad I stopped in. Thanks for visiting my site and like you, I was in graphic design before my current profession. I was a fashion illustrator for an upscale department store. You can't take the artist out of this gardener. I love doing crazy graphic posts. Check out the tabs for gnomes and the Magazine. All different layouts with computer art. Love this! Thinking I need to create one for my yard too! Thanks so much for sharing! Hi Terry, Wow--you sound like a girl after my own heart. I make stuff all the time for that very reason. We never had any money..but that never stopped me. That is a gorgeous cupola! I'm totally impressed! Great project, I bookmarked this page. 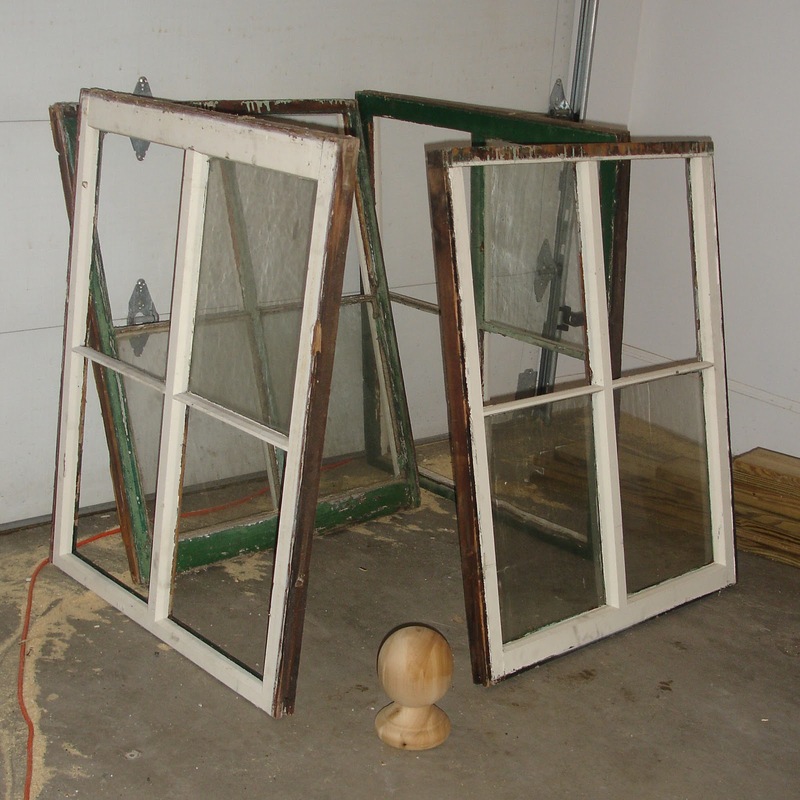 I have old windows in the basement...but no cute handy dandy man. I'll have to do it myself! Terry, This turned out beautiful! How very creative of you. Thanks for joining my party. Gorgeous idea! Thanks for sharing. Charming. I need to show my husband. He doesn't know it yet, but he wants to build one like it for me! This is absolutely beautiful! Old windows are just wonderful! Found you at SNS...we both have entries. Gorgeous!!!! I want one now. I just need to find some windows. What a great idea and it looks absolutely stunning!! This turned out so very nice! So nice when dreams become reality, you are truly blessed! Hi Terry! What an absolutely charming cupola for your garden! So inspired and such a creative and wonderful project! Love it! Thanks for sharing this at FNF ~ have a wonderful weekend! Hi. Found you via Cottage Flora Thursday. What a clever idea, just lovely! I need a dandy handyman like that. You did a great job designing and putting this together. Turned out so wonderful. thanks so much for linking up with VIF! I have wanted to make one of these for a long time. I have a collection of old windows, but not 4 the same size. Hopefully someday. lol! Love, love it! Love your vision, Terry. 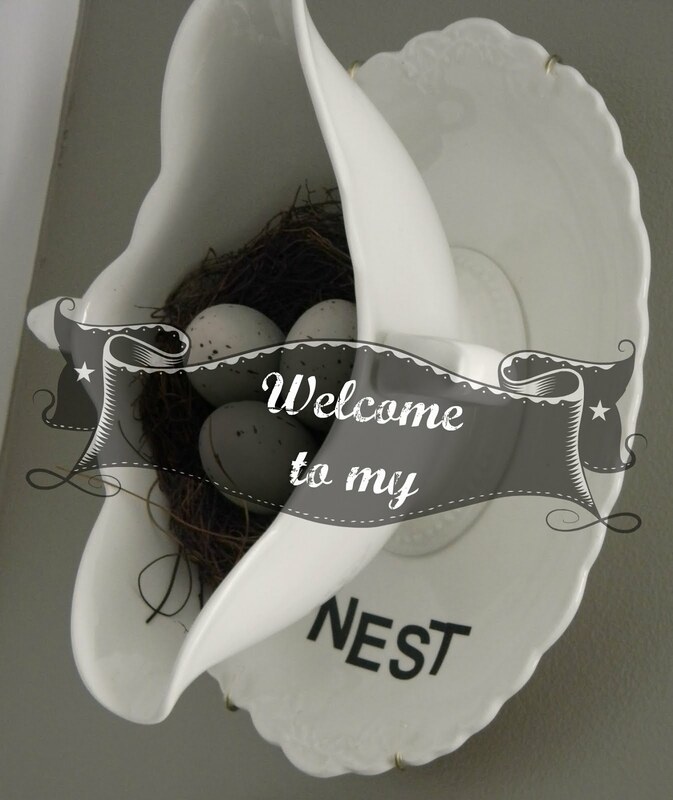 Thanks for sharing your charming cupola at Every Room In The House. You'll see it featured tomorrow. Nancy @ A Joyful Cottage. Week 9 ~ Diamonds In The Rough! Chalkboard Paint Recipe, Any Color! Dresser to TV Stand~ Revamp!